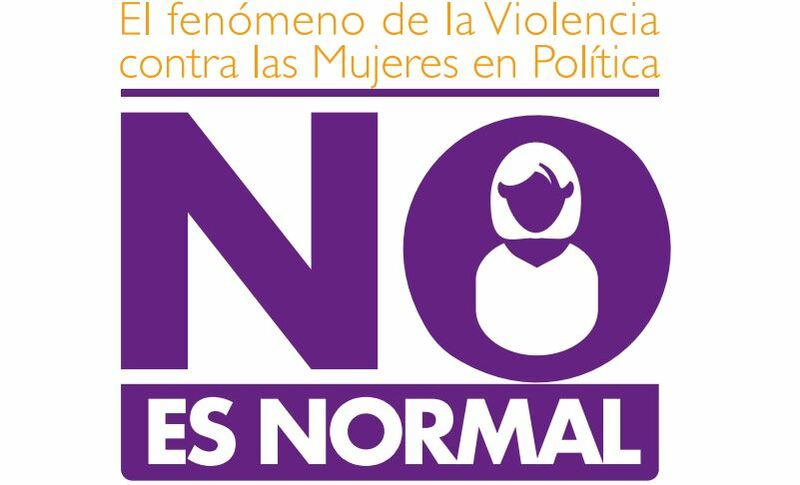 A study carried out by NIMD’s office in Colombia has been instrumental in informing a new bill on political violence against women in Colombia. The bill was presented to the Colombian Parliament by Senator Juan Luis Castro, who used the NIMD study extensively in his explanatory statement. Through the bill, Senator Castro aims to put in place robust measures to prevent and sanction violence against women in politics. With these sanctions in place, women will be better able to exercise their political rights and take up their seat at the table. In our work NIMD promotes measures to stop violence against politics. NIMD Colombia works with the Congress and political parties to encourage dialogue on the topic and consensus towards the adoption such initiatives as legislation. NIMD’s study into violence against women in politics aims to spread knowledge and awareness of the violence suffered by many women in politics. With a focus on the Colombian context, the study sets out clear recommendations on how to combat this significant barrier to women in politics. Colombia is facing a unique moment in its history: the possibility to build and consolidate peace following the end of the armed conflict with the FARC. One of the biggest challenges for the country will be to ensure that politics works for everyone, and different groups are properly represented in inclusive political processes. This includes providing a seat round the table for women and other minorities so that they, too, can help build their country’s future.